Yes, your fiddle fig can make it through the polar vortex. As the temperature drops and snowstorms roll in, you're not the only one feeling the affects—your houseplants are likely struggling to make it through the winter, too. But if you choose hardy houseplants that are most likely to survive and follow the easy tips below, your ferns and philodendrons will continue looking green and lush all year long. Simple changes like adjusting your watering routine and reconsidering your plant's placement in your home can be the difference between a plant dying or thriving. Check out the cold-weather plant care tips below, then make small adjustments to keep your winter plants happy. The number one change you should make when caring for winter plants is to water your houseplants less frequently. 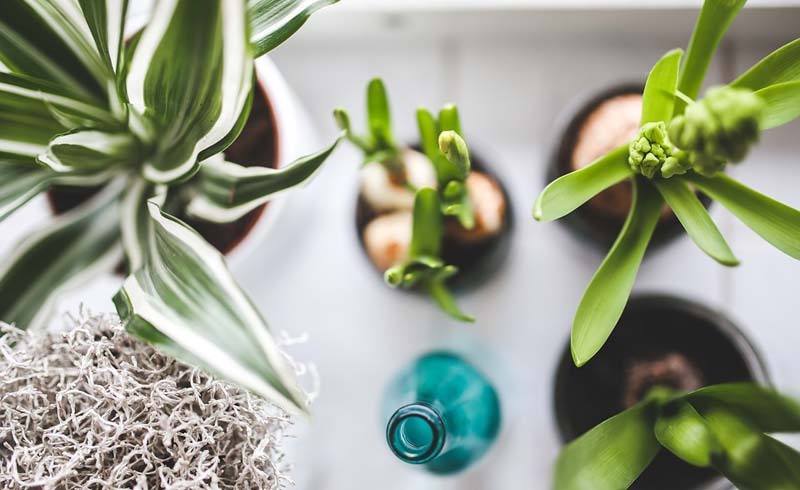 This may be surprising since the air in your home is likely drier in the winter than in the summer, but plants naturally adapt to colder weather by experiencing a slower rate of growth, and therefore require less water. While the amount of water your plants want in the winter will vary, in general, they prefer to let their soil dry out in between waterings. Rather than stick to a strict schedule, get in the habit of feeling the soil (test the soil two inches below the surface) to see if it's dry. Here's where winter plants can get finicky. Although they don't want to be watered too often, they will crave more humidity in the air if your home is dry. Invest in a humidifier or plug in the one you already own (you and your houseplants will both benefit from this), or create a makeshift humidifier by setting up a shallow tray with water near your plant. A plant mister can also help with plants that need more moisture, such as ferns. Just like us, plants crave sunlight during the darker winter months. Consider moving your plant into a sunnier spot in your home, keeping in mind the sunlight preferences of each species. If you decide to move your plant closer to the window, just check to make sure the spot isn't too drafty. Particularly drafty spots in your home, such as right next to the front door, may not be the best location for a fragile houseplant. Ideally, plants prefer a stable temperature rather than one that will fluctuate each time the door is opened. Similarly, the top of a radiator that's turning on and off throughout the day isn't an ideal placement either. If you're planning to go away for a week this winter, it may be tempting to turn the heat off entirely to save some money on your bills for the month, but there are several reasons this isn't a good idea. Besides more serious complications such as freezing pipes, you could come back to find your houseplants have died. Most houseplants will slow down their growth to adjust to lower temperatures, but try to keep your home from dropping below 50 or 60 degrees to keep your plants happiest. 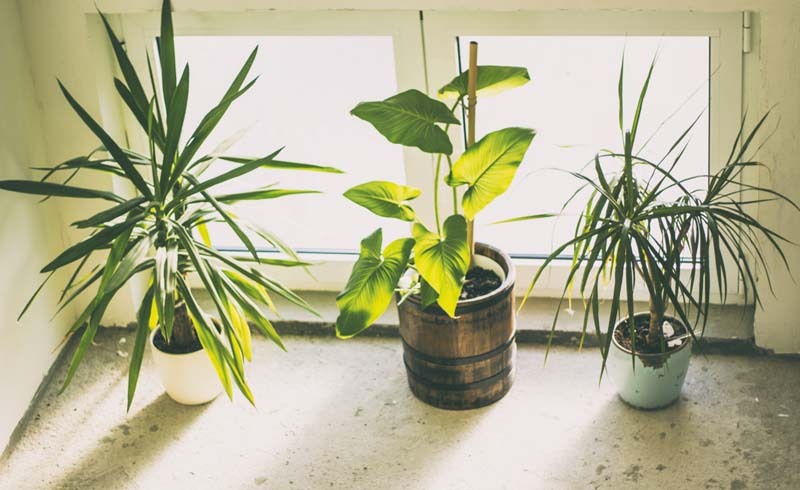 Many of us keep our plants near windows—and for good reason, it ensures our houseplants get the most sunlight possible. But if your windows are particularly drafty, you might want to move plants a few inches away from the window or to a plant stand near the window yet not on the windowsill itself. Consider installing thick window curtains as extra insulation between your plants and the window, which can protect your plants when the temperature drops at night.